What's the difference between using Outlook Express versus my ISP's email? Email programs, email access and email servers are all frequently confusing to many people. We'll review where email goes, and how you can get at it. Is there an advantage using Windows Outlook Express email service over an ISP such as Comcast? What is the difference? The question shows a very common point of confusion. In a way, it's kind of like asking "which is a faster way to get home, taking Main Street, or driving a Ford?" The two things being compared kind of relate, but in fact are two very different things that don't compare to each other at all. In reality you might take your Ford down Main Street, or perhaps your Maserati traveling on Elm St. would be faster. Let's sort out this whole ISP, Email Program mess. Regardless of what service you use for your email, messages sent to you are collected on a server, waiting there until you choose to access them. POP3/IMAP: POP3 and IMAP are protocols designed to let email programs running on your PC download or view your email on your PC. 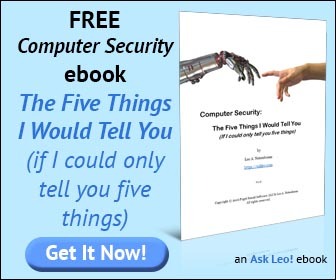 Examples of such programs are Outlook Express (on XP or earlier), Windows Mail (on Vista), Outlook, Thunderbird, Eudora, and perhaps hundreds more. The key here is that it's a separate program for email management that runs on your computer. Web: If you are using web access, you do not run a special program, all you do is point your web browser to a specific URL to reach your email service provider, where you can then access your email. Examples include the default interfaces for GMail, Hotmail, Yahoo mail and the like. The key here is that the mail is accessed through your browser but remains stored on the web; it is not downloaded in the same sense that a POP3 client would download to your PC. "Most ISPs provide email services with the intent that you use a POP3 email client to download your email ..."
Most ISPs provide email services with the intent that you use a POP3 email client to download your email to your PC. Which email client you use is up to you. So in the case of the person asking the question, you're quite welcome to use Outlook Express, Thunderbird or any of the many other email programs available. It's not an either/or situation, as they're two different things: you might use Outlook Express to access your Comcast email. Now, here's where things get a little confusing: many ISPs also provide web access to your email, and many web mail services provide POP3 access to your email. But for those that do, it's simply an alternate way of accessing your email. It can be convenient, or it can be critically important, depending on how you choose to manage your email. POP3 downloads your email to your PC, removing it from the mail server. EMail can be read whether or not you are connected to the internet. IMAP downloads portions of your email to your PC, but accesses and leaves the messages on your server. You typically must be connected to read email. Web access does not download your email, leaving it on the server at all times. Another important side effect of this "download or leave on server" distinction is disk space. If you download your email you are limited only by your own available disk space. If you leave email on your server, then depending on the restrictions in place on that server, you can fill up your mailbox and run into other limitations that might cause email sent to you to start bouncing or just not arrive. And of course anything you do download you have full control over. For example, you can back it up so that you never lose it. Mail stored on a server, once lost, is often lost forever. I think most major ISPs actually include some form of web access to your email, so I won't try and call any out specifically. As I said, traditionally email is accessed from your ISP using a POP3 email program, but web access can provide an alternate way to get at email that hasn't already been downloaded when you're not at your computer, or if you prefer, as your sole means of accessing your ISP's email. It's up to you. Web-based email services are a little dicier. GMail provides POP3 and IMAP access, which is great - you can choose to access your GMail via the web, via the email program of your choice, or some combination thereof. Hotmail does not support POP3 or IMAP. However, the mail program Windows Live Mail can access Hotmail, and Outlook can access Hotmail with the "Hotmail Connector". Unofficial solutions for other email programs exist; for example, there's a Hotmail add-in for Thunderbird that seems to work quite well. But again, I have to stress Hotmail itself does not provide POP3 access - any solutions that do so are unofficial and unsupported by Hotmail. Hotmail is intended to be web only, unless you use one of the Microsoft mail programs that have been modified to support it. Yahoo mail is even more interesting. As I understand it, last I checked POP3 access is available only in certain countries, and the U.S. isn't one of them. As you can see, web based mail services are really intended to be accessed via the web. The ability to use a PC-based email program is often an after-thought, and support varies from very good to none at all. Email sent to you is collected on a mail server, provided by your ISP or whatever other mail service you choose to use. PC-based email programs like Outlook Express are most commonly used to download your email from the mail server to your PC where you can read, archive and backup your email, offline or on. Web-based email access provides direct access to the email stored on your server without needing to download. Most ISPs intend that you use a PC based mail program to download your email, but may also provide a web-based interface to access email that has not yet been downloaded. Most web-based mail services like GMail, Hotmail and the like intend that you use their web based interface to access your email stored on their servers. The ability to download email to a PC based program may, or may not, be available. And for the record: my recommendation is to use a PC based program, no matter what service you use. The reason is simple: I hear too often of lost email that was stored only on an email service's server. 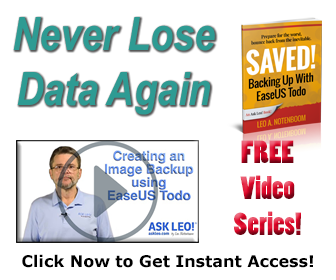 If you download - even if only to copy as a backup - you control what happens to that email. You can back it up or do whatever you feel is appropriate to make sure it never gets lost. How do I download my Windows Live Hotmail to my machine? Windows Live Hotmail has no POP3 or SMTP settings with which to download your mail. However if you use certain mail programs, you can still download. What is POP? Or POP3? Or a POP account? And what about SMTP? POP, POP3 and SMTP are all acronyms that you might see used when talking about configuring email. We'll look at what they mean, and how they relate. How do I backup my GMail? Relying on free email services - even GMail - can be an unnecessary risk. Fortunately GMail makes it possible, even easy, to backup your email. Another well explained article, thank you. If I'm using an email program to retrieve my mail; be it, Outlook, Outlook Express, Windows Mail or whatever, the likes of Hotmail (for example) require me to log-in, I think, once in 30 days or my account gets marked for deletion. Does using a program of this nature mean I *still* have to log-in via the Web once a month to avoid being 'marked', or does using the client 'overcome' this. e.g. If I *only* use my client to retrieve mail & do not log-in via the web, will my account get marked for deletion? I don't think there's a single answer here. With Hotmail, for example, if you're using "officially supported" methods to access it via Windows Live Mail or with the Outlook Extender, I would assume you don't run the risk of some kind of inactivity deletion. Since other POP3 methods are not officially supported, I would not be surprised if you did need to login via the web every so often to keep the account active. Other services, like GMail, Yahoo and so on ... it's unclear. I would hope that those that provide POP3 style access would take that as "activity", but it's never been made clear. FYI yahoo plus (yearly fee) gives you pop3. the other advantage of using Outlook (or equivalent) is you only need internet connection for long enough to download/upload your mail. Once downloaded, you can read at your leisure and compose replies, etc offline. At least one ISP's mail cannot easily be exported to other mail programs. In my case, it is EarthLink mail. The downloaded mail can be exported in two ways: Earthlink Mailbox DAT file, for importing into another Earthlink Mailbox, or a CSV file for exporting to a completely different mail client. The problem with the latter (the CSV file) is that dates are not included. Therefore, when importing into another mail program, the messages are not organized by any recognizable order. I have complained several times to Earthlink about this, but apparently there is no interest in tweaking their export program to include dates. For a few years now I've been using a program called Hotmail popper from fitsoft.com (site seems to be no longer active) to access my Hotmail. Its still active, my account that is. I'm not very bright, and I can prove it. I still don't understand. For example what is POP3, etc.? Where can I find a book or something to explain these critters? I use whatever comes up when I click on mail. Try this article: What is POP? Or POP3? Or a POP account? And what about SMTP? I don't understand why my inbox for email on thunderbird program has nothing but "dots"....for everything......all characters, numerals, etc. If I hover the darker of emails(newer ones) it will tell me who sent the email....also can click on any row of dots to pull in the email for reading nicely. Anyone else ever hear of such a problem? Thanks for reading. Hope someone can help this great granny!! I have microsoft outlook express installed on my computer but have never really used it. I have comcast as my regular email provider, but recently when they upgraded to "smartzone", my email is automatically downloaded to outlook as soon as I read a message. I don't like it because I cannot access my old mail from another computer ie at work. This just started happening. How can I correct it so that email remains on my comcast account until I delete it, or put it in a folder etc. What are the comparisons between web-based email service and Outlook? I guess what I am asking is functionality wise what are the differences? I am new to computers in general and I am trying to be informed. The specifics depend entirely on which web based service you're talking about. The biggest difference, though, is that with a desktop email program like Outlook your email is downloaded and stored on your PC, whereas with a web based program it remains on the service's webservers. Which of the two is safest for internet banking. I don't know whether to stick with Outlook Express, change to Windows live mail or use my Gmail account.